A lot has changed over the past century since this stately old snapping turtle first emerged from his egg as a tiny hatchling, but despite the dizzying pace of progress, respect for one's elders is still alive and well. 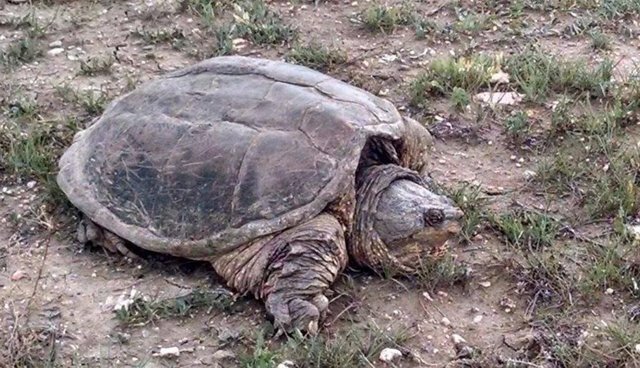 No one knows for certain where the centenarian turtle had come from, or where he was going, but when folks in Arvada, Colo. spotted him attempting to cross a busy road in town on Saturday, they didn't hesitate to lend him a hand. Among the first to see the animal was was a young man named Kaid Chapman, who parked his car and helped divert traffic around the animal until police arrived, reports KUSA-TV. 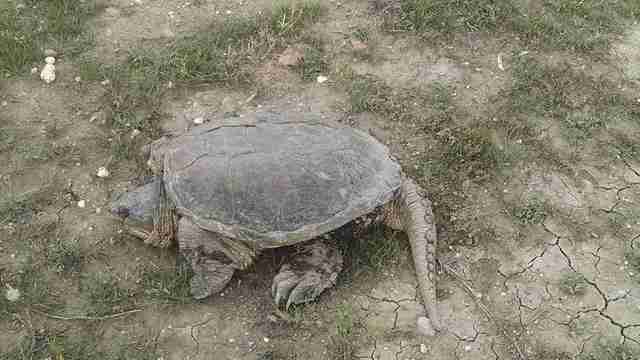 Authorities say the 75-pound turtle is estimated to be around 100 years old, making him one of the state's oldest residents. The Arvada Police Department says that the turtle was then loaded into a truck and given a lift to a nearby park and set free to continue safely on his way. "Many thanks to those who called dispatch regarding a turtle crossing at 64th and McIntyre. He made it halfway, then had some help of Arvada citizens to make it the rest of the way," writes Arvada Police. "Great job, everyone!" As it turns out, the old-timer turtle, believed to be a common snapper, may actually be one of the largest of his kind ever seen. 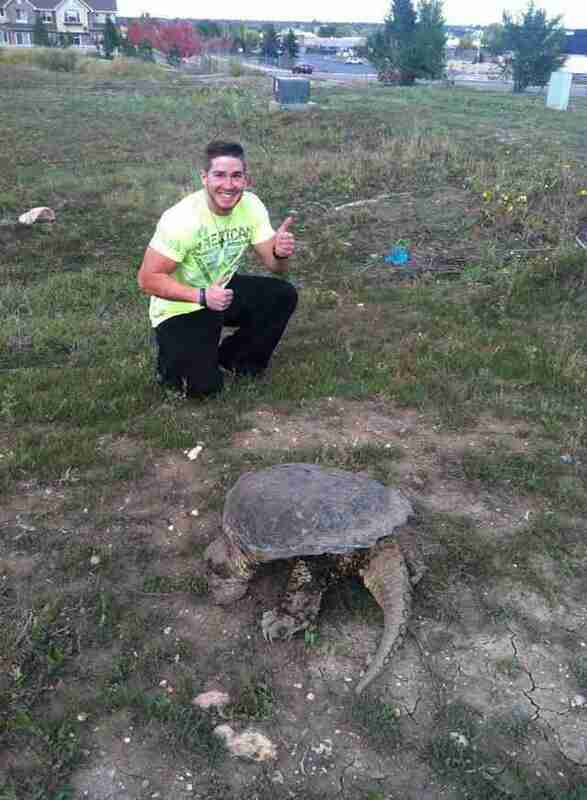 According to Arkive.org, the heaviest common snapping turtle on record also tipped the scales at 75 pounds, far exceeding the species' average weight of 10 to 35 pounds. Common snapping turtles are found throughout the eastern United States, and as far west as Colorado.